Vanilla textures are not liked by all Minecraft players due to unnecessary details, blurry or great simplicity. 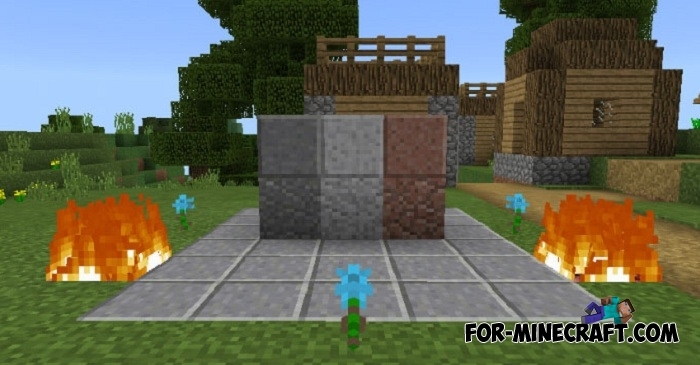 Even after the developers began to change the textures and bring them to a common style, some minecrafters were against it. Cleaner texture pack is a collection of redrawn textures so as not to bother, not to annoy and not catch your eye. Changed many blocks such as grass, snow, trees, plants and also animated phenomena. The rest is the same vanilla textures for MC PE without obvious differences. Their installation does not affect the performance.